The crisp fall weather is one of our favorite times of the year. 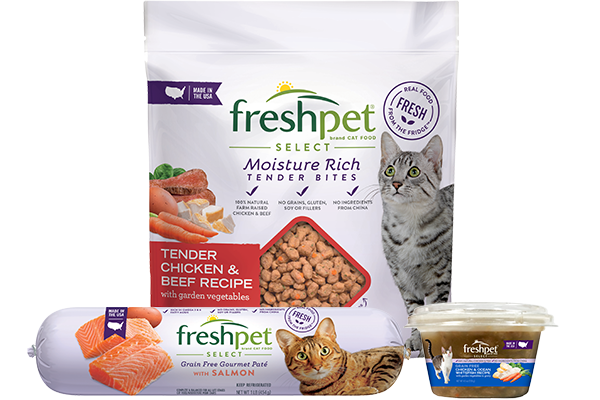 It's cool enough for us and our pets to endure outside activities for longer periods of time, and the sun is still shining to keep us warm. So there's no better time to grab your gear and go for a hike with the family and the dog. If you're planning to go on a hike with your dog, here's a few things to think about when packing. Many of these tips apply to other outdoor activities too! The Pack To get started you'll need a pack that will fit all of your personal items for the trip ahead, as well as items to keep your dog happy, hydrated and safe. So make sure you bring one along that is big enough to carry everything but compact enough to not weigh down your stride. 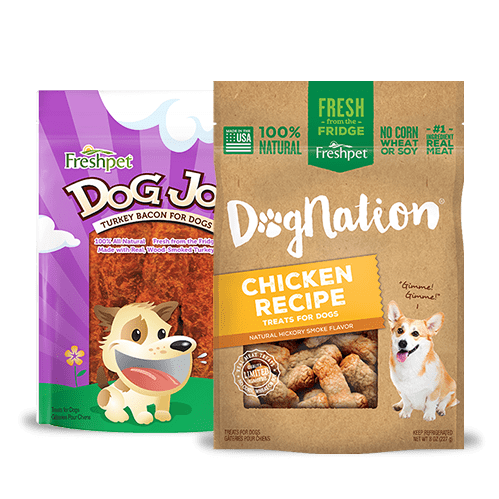 Another option is having your dog wear a pack to help divide the load. 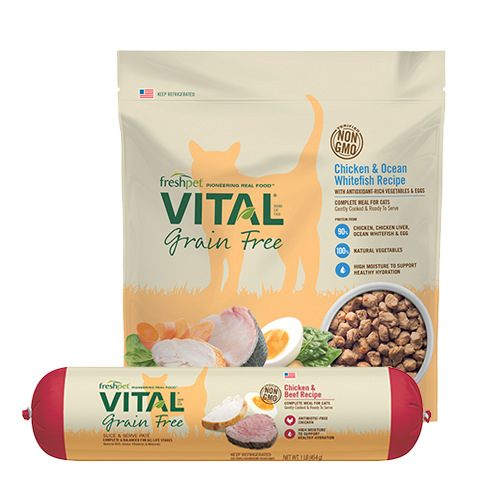 A healthy dog can carry about 25% of their weight. Some breeds can carry much more while others might not be equipped to carry anything at all. 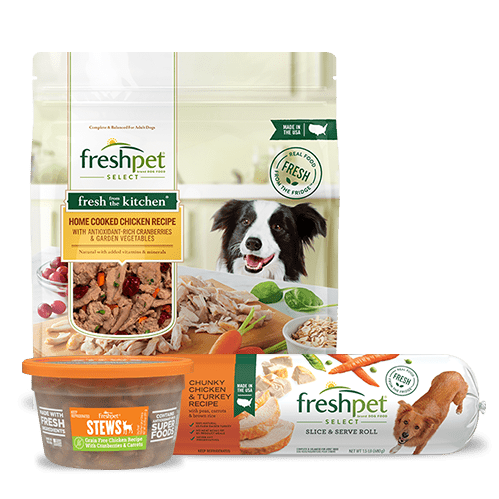 Ask your vet to see what they suggest for your dog. A good starter bag is the Kurgo Wander Pack. 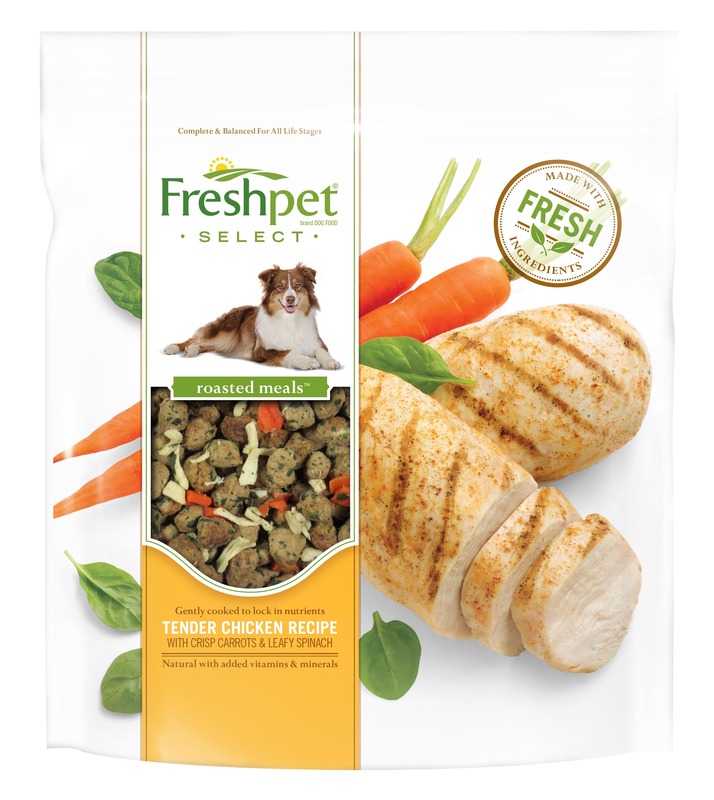 It's lightweight but strong and accommodates dogs 30 to 85 pounds. Clothing and Boots Some people may think dog clothes can be silly, but in this case they can be completely functional if you're trying to keep your pet warm. You'll want something durable, that will retain heat and be appropriate for the weather. If it's raining, get something water-resistant or waterproof. As the weather turns to snowy, you'll want a more heavy duty jacket. 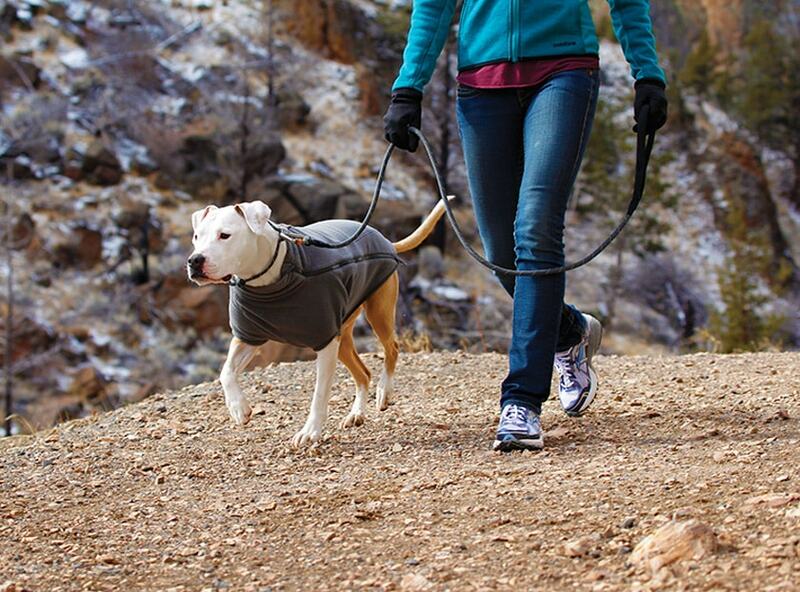 But for cool fall days, we love the Ruffwear's Climate Changer™Fleece Jacket. Also rough terrain can make your dog's footing uneasy on the trail. If you know your trail will be rocky, consider boots if you think your dog can benefit from them and wear them throughout your hike. 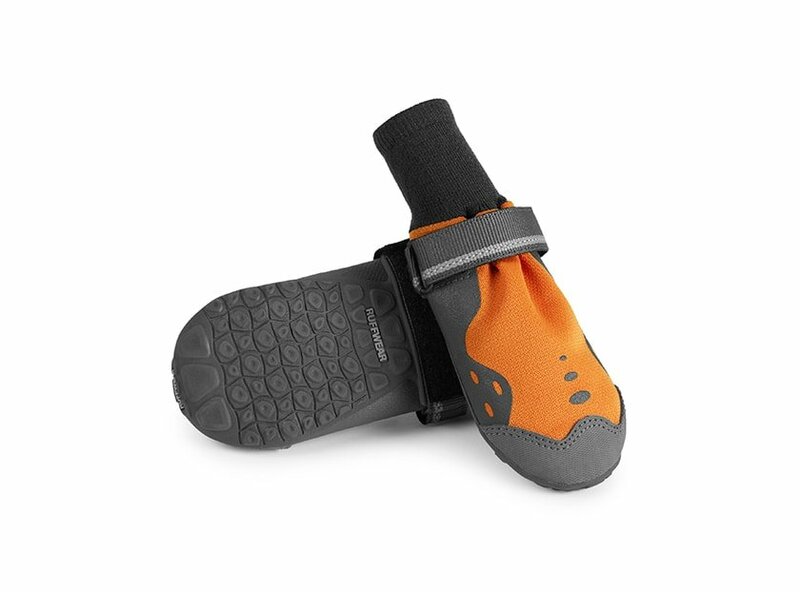 We recommend Ruffwear's Summit Trek Boots for their sturdiness. 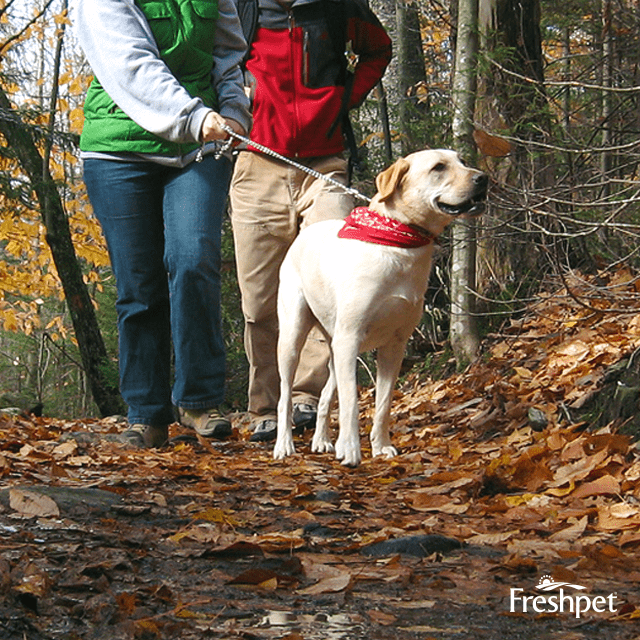 Leash and Harness We absolutely love the idea of a hands-free experience when hiking with your pet. 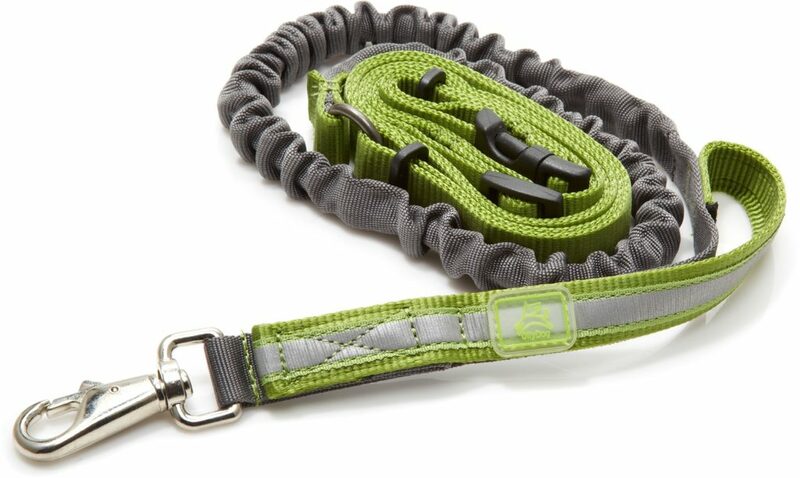 This leash from Olly Dog wraps around your waist and features an elastic on the length of the leash for a tangle and tug-less adventure. If you have an easily excitable dog, find a good harness to keep them on track with you. Food Essentials Enjoy the trails! Just keep in mind that even though the scorching sun isn't beating down you can't trek for hours on end. 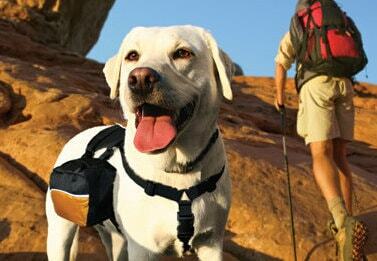 Allow your dog to ease into hiking especially if they're older. And remember to pack plenty of water and treats to keep them comfortable. 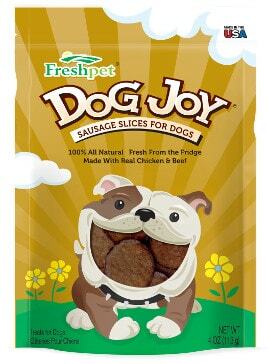 We recommend our Dog Joy Sausage Slices for a day trip. 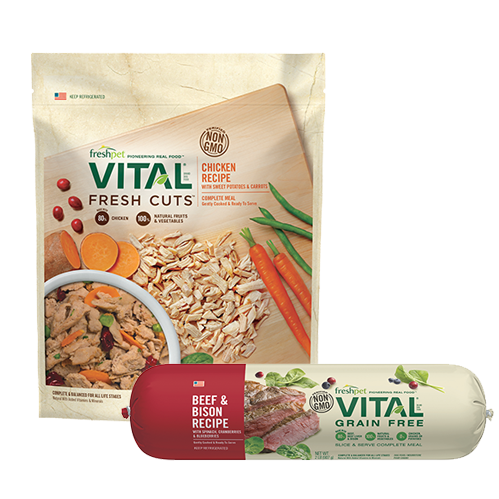 They're thick and meaty slices to satisfy your dog with a savory taste. Also a collapsible bowl will be handy when serving up water. 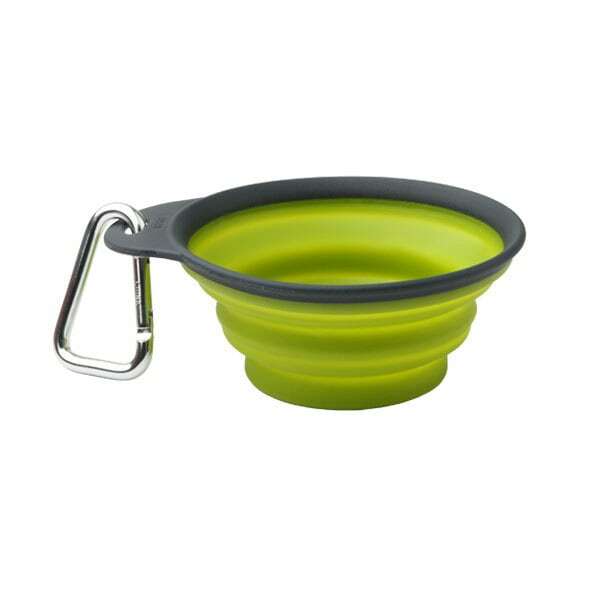 Try Popware's Collapsible Travel Cup which includes a handy carabiner. 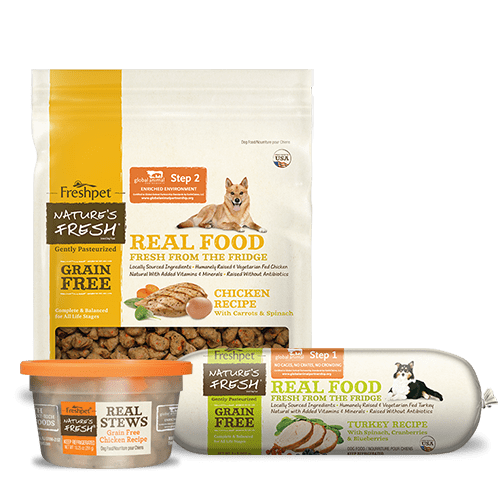 If your hiking adventure will be more than a day trip, remember to pack enough of dog food for your stay in a cooler that will keep everything fresh. 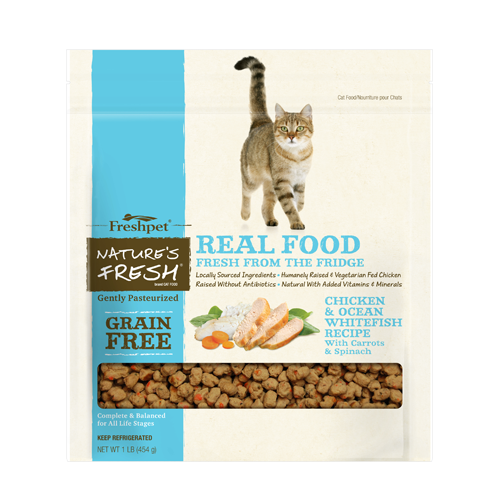 Our Freshpet Select Roasted Meals are easy to serve and resealable, making them great for camping.